aligned perfectly. So our new building now has a bold new sign to make us easier to find at 3254 Hill Ave.
We took this opportunity to begin repainting our facility, starting with a new color for the sign posts. This Sherwin-Williams color will be extended to the entire facility over time as we continue to improve our ability to serve our customers. Previous Post We Made It! Happy New Year! 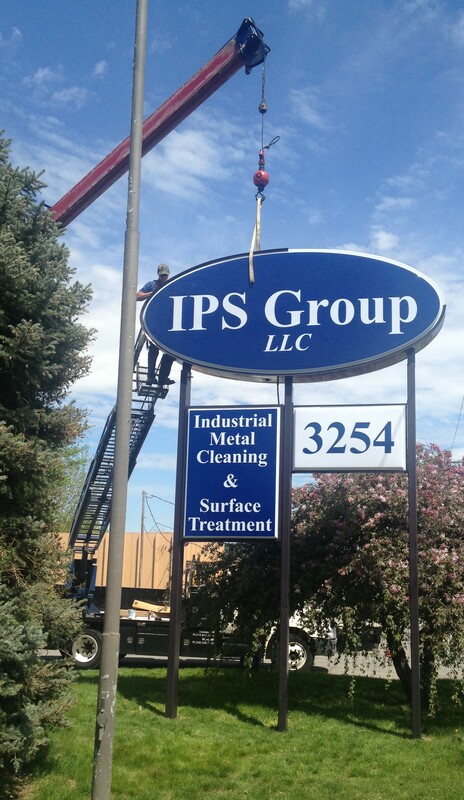 Next Post Environmentally Friendly Industrial Parts Cleaning to 400 microns arrives at IPS Group LLC.